"What a Child can do in cooperation with others today, he can do alone tomorrow." We illustrated it's A WONDERFUL WORLD and shared it with the school as part of our Peace Day Celebration. Fruits and Veggies, What do you see? We read Brown Bear Brown Bear What do you See? by Eric Carle and used it's format to create our own book about fruits and veggies. We got so hungry reading Pancakes, Pancakes by Eric Carle that we decided to make our own. We followed the recipe in the book and learned how we used math when we measured out the flour. Mrs. Koehler read this Ladybug book to us in the Library. We then retold the story through by creating a photo essay where we "posed" as the characters. 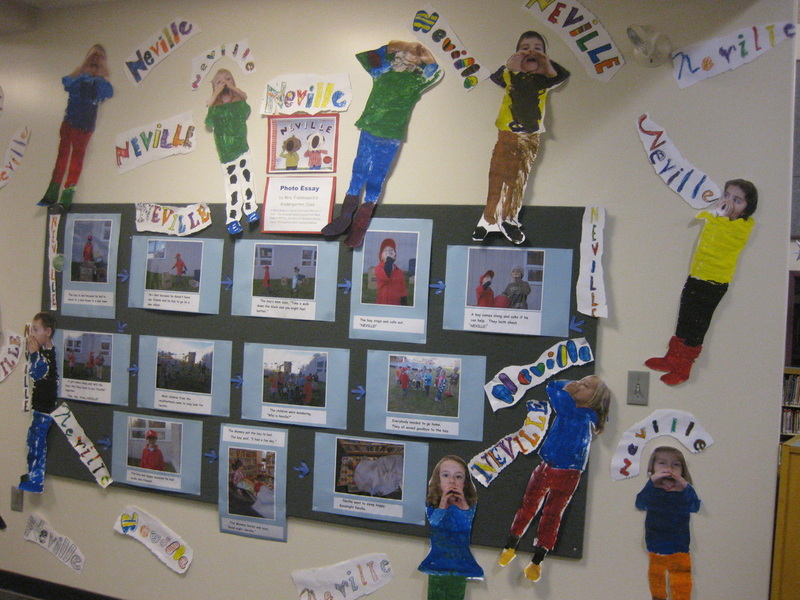 We produced a Bulletin Board display with the help of Mr. Woo and then made our photo essay into a "real" book.